If you have ever gone through a home improvement project, you probably quickly realized how stressful and difficult the entire process can be. Not only do these types of projects take time, but you may also run into unexpected costs, delays, and hiccups that you were not planning for. That is why it is vitally important that you partner up with the best general contractor around the Plymouth, MN area, Bannochie Builders, Inc. Let our staff handle the project plan from start to finish so that you don’t have to stress yourself out with all the fine details. Keeping our customers happy every step of the way is our number one focus. After all, our customers are what make our company successful, so it only makes sense to treat them the best way possible! Serving this great community since 1995, our licensed professionals can handle construction projects of any size. The dream upgrades that you have hoped for can come true by partnering with our staff. 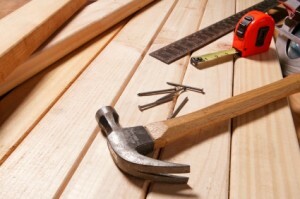 With the home improvement products market rising by nearly 6% in 2014, it is safe to say that people are eager to remodel existing homes as well as construct new homes. Additions – Rather than moving, consider adding on to your home. Through experience we have become experts in blending new additions with your current residence. Room Remodels – Whether you are looking to renovate your living room, kitchen, bathroom, or bedroom, our experienced staff can handle your project with ease. Deck Building – Create a space outdoors that will allow you to enjoy the beautiful spring weather that is on its way in Plymouth, MN. Exterior Upgrades – Looking for a whole new look for your home? Our skilled staff can help boost the curb appeal of your residence, while adding energy efficiency at the same time. Basement/Garage Refinishing – If you have basement or garage space that you are interested in converting to usable square footage, our team can provide these construction services as well. No project is too big or small for our professionals at Bannochie Builders, Inc. If you live in Plymouth, MN and are interested in finding a reliable remodeling and construction contractor, give us a call today! Contact us at (952) 220-5950 to learn more about our home improvement services. With a free consultation available, you have nothing to lose, so act now! This entry was posted	on Friday, May 8th, 2015 at 2:35 pm	and is filed under Exterior Home Remodeling MN, Home Remodeling Contractor Plymouth MN, Interior Home Remodeling. You can follow any responses to this entry through the RSS 2.0 feed. You can leave a response, or trackback from your own site.